As For Football’s College Football Show with your host Rob Wright. 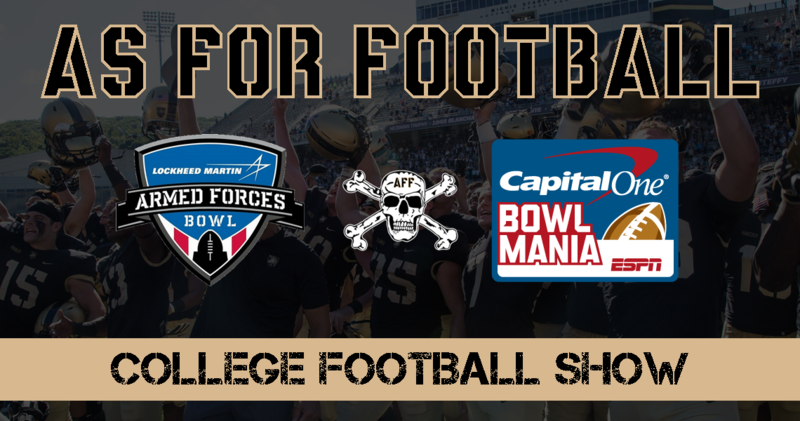 In this episode we preview to the Armed Forces Bowl where Army is set to face off against AAC foe Houston. Rob and Dan review the AFF Bowl picks from last week (1:04), Update the Bowl Mania Fan Leaderboard (9:17), Armed Forces Bowl Preview (12:16), What Army Needs to Do on Offense (17:50), What Houston Needs to Do on Offense (23:03), Betting Line Movement for Army vs. Houston (28:30), Best Bowl Games from 12/22 to 12/29 (33:20), and the Rob’s favorite things from this week (37:04).